Apple’s top executives sold just over 1 million shares of stock on Wednesday and Thursday, according to SEC filings issued last night.The filings reveal seven executives sold shares for either $229.37 or 230.70. Good timing! After hitting intraday highs yesterday, Apple’s stock closed at $226.65. 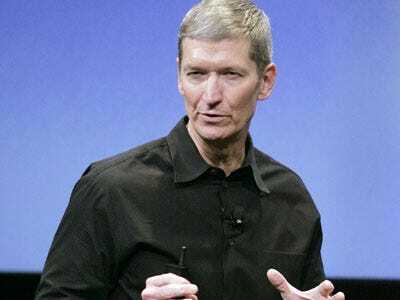 Tim Cook, COO, sold 300,000 shares for $68 million. Philip notes $32 million was set aside for taxes. Peter Oppenheimer, CFO, sold 200,000 shares for $45.98 million. Ron Johnson, SVP, sold 200,000 shares for $45.95 million. Phil Schiller, SVP, sold 150,000 shares for $34.47 million. Robert Mansfield, SVP, sold 34,575 for $7.9 million. Scott Forstall, SVP, sold 34,575 for $7.9 million. Bertrand Serlet, SVP, sold 69,585 for $16 million.